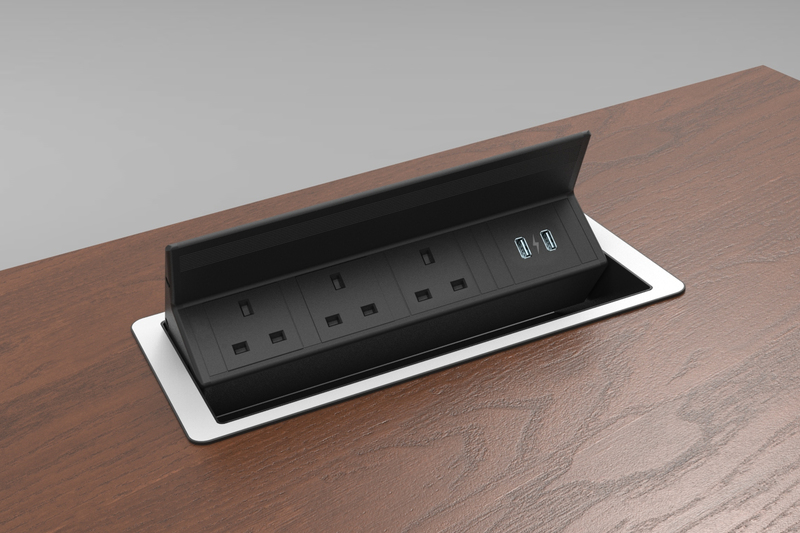 This stylish Flip up in-desk power module is configured with 3 gang sockets (13A, 250V)‎, 2 USB 5v charging and comes with a Black body as standard; all you need to do is choose which colour top to go with it! Cut out sizes can be found in the technical data. This unit has 4 working modules.